ibs Central enables users to manage the full ordering process with features and capabilities such as the manual creation of orders (mono-entity and multi-entities), automatic order creation, order duplication and store order consolidation. ibs Central enables retailers to manage the order creation process from requisition to the definitive order. ibs Central is able to adapt to the retailer's organization. Orders can be created according to the organization of the Supply Chain. Management of the order between mono or multi distribution center with a supplier or another distribution center. ibs Central automatically creates order requisitions. The automatic creation is particularly significant in cases of recurring orders and with products that need continuous replenishment. ibs Central provides retailers with the capability to determine the replenishment mode such as order point, refilling method (min/max quantity) or restocking method, which will trigger the automatic order and suggested quantities to be ordered. This functionality saves critical time in the order creation process, ensuring that orders are not missed and guaranteeing a sufficient level of stock to the distribution center. For other products where the automatic creation order requisition is not relevant, ibs Central includes the ease-of-use functionality within the manual creation. Item Keyboarding functionality enables users to quickly create an order manually. Order Duplication saves a user time and ensures they are working in an optimal way. 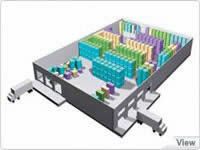 ibs Central helps the user in defining the products and related quantities to be ordered. This information allows the user to better determine the right quantity to be ordered and avoid overstock or out-of-stock products that may result in a huge loss of revenue. Quantities are suggested to help the users to prevent errors, but the users can always accept or modify the quantities according to their knowledge of the market and need. They always remain the decision-maker. Order optimization is an important step in the order creation and can help retailers reduce operational costs of the replenishment process. the comments entered by other users and may enter new comments to keep others informed and updated throughout the ordering process. ibs Central gives users the capability to edit order forms prepared to be sent to the supplier by different transmission modes (email, EDI,…). Once the order form is transmitted to the supplier, the supplier may accept or reject the order, product cost or quantities. ibs Central supports this process and enables users to integrate a confirmation note and the modification of different information following the feedback of the supplier. Once an Order is created, a Receiving Planning and Receiving Portfolio, which is available in ibs Central is automatically updated. Dedicated teams are informed in real-time of the expected arrival, which gives them a global view of the work to be done and organize their tasks accordingly. ibs Central enables users to follow the progress of each created order through the dedicated portfolio. It is possible to check the order that has been totally and partially received, and orders to be closed and to be cancelled (the order follow up is supported by the creation of dynamic status in ibs Referential that is able to fit any business needs). 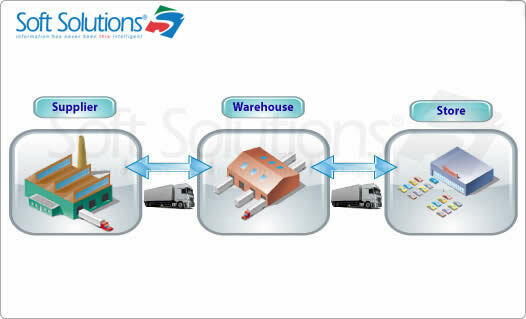 The business solution ibs Central is capable of handling the collaboration between warehouses and stores. The exchange of information between the Distribution Center and the Stores is transparent and ensures immediate reaction of different stakeholders. ibs Central enables users to gather all store orders created in ibs Store or any other external system and create one single order to be sent to the supplier. ibs Central can create automatic order requisitions based on the automatic consolidation of store orders having the same properties (ex: same supplier or same order schedule). The users can also access, with appropriate rights privileges, a dedicated section to enable the manual consolidation of store orders. 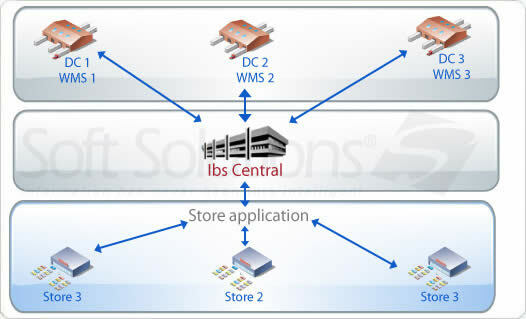 ibs Central enables the optimization of the quantities requested by the stores and the modification of delivery dates. Stores automatically receive the modification of their respective orders in total transparency and unified information. The business solution ibs Central handles the relationship between platform and stores. 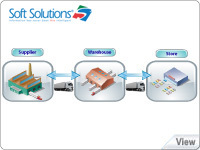 ibs Central is able to respond to any type of logistic channel organization. When receiving the order from the supplier, the platform allocates the different quantity to each store. When receiving the order from the supplier, the supplier sends the quantity already pre-packed and the platform sends each product already conditioned to each store. ibs Central enables users to follow the progress of each created order through dedicated portfolio. It is possible to check the orders that have been totally and partially received, orders to be closed and orders to be cancelled (the orders follow up is supported by the creation of dynamic status in ibs Referential able to fit any business needs). ibs Central is a solution which manages the entire booking process, whereby a distribution center can book merchandise to a supplier or another distribution center in order to better secure future item availability. Booking can be created manually by the user or automatically after the validation of an allocation file. Products are defined (with logistic channel, expected delivery date…). The process between stakeholders is tracked with the quantities booked by headquarters and the adjusted quantities following the confirmation received from the supplier. System automatically transmits the booking to the supplier. 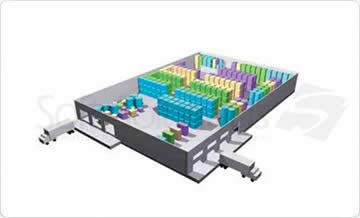 ibs Central manages the booking created by the stores and received by the distribution center. A Booking Requisition Portfolio and Booking Portfolio regroups all past, present and future bookings requisitions or booking for tracking and easy follow-up. Once bookings are created in ibs Store, they are transmitted to the distribution center entity and appear in ibs Central in a dedicated Store/DC Booking portfolio, for tracking and easy follow up: (available information include quantity booked, quantity ordered and delivered). ibs Central bases its foundation on ibs Referential which ensures the integrity and consistency of data is respected. Replenishment mode (order point, refilling stock, restocking stock…).